Learning how to use a Ferro rod, also known as a Ferrocerium rod, to start a fire is like learning to use any other survival gear. It’s better to learn the process now than wait until you actually need it to save your bacon (or cook it). What Is A Ferro Rod? What Is A Ferro Rod Made Of? What is a magnesium rod used for? How are Ferro Rods Made? How Long Does a Ferro Rod Last? What’s the Difference Between Ferrocerium and Magnesium? Why Does Metal Spark When Struck? A Ferro Rod (Ferrocerium Rod) is a fire starter tool used by campers, survivalists and other outdoor enthusiasts to quickly start a fire. A Ferro rod looks like a small steel rod, which is probably why some people refer to them as “fire steel”. Ferrocerium is a man-made metallic alloy that produces sparks of 3,000 degrees Fahrenheit (or hotter) when scraped with a rough edge like a rock, or a sharp edge like a knife. Ferro rods work without lighter fluid, and can start a fire even when wet. 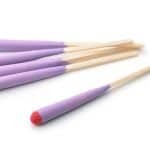 Ferro rods are made of ferrocerium, a man-made alloy and are basically waterproof matches. The formula varies, but usually includes iron, cerium and magnesium. The combination creates sparks when the ferrocerium rod (firesteel) is scraped with a rough surface or a sharp edge. And it works under cold, wet, windy conditions that would defeat matches or a lighter. Some Ferro rods come with strikers. Almost any sharp-edged item will do, even a rock. But you’ll get the most consistent sparks from a hard steel object, like the spine of a knife blade. The process of starting a ferro rod fire is like using flint and steel, but with an important difference. Flint and steel produce a spark of about 800 degrees F.
Better quality Ferro rods can produce a spark of 3000 degrees or hotter. That’s roughly 30% hotter than a blast furnace and almost 70% hotter than the hottest molten lava. 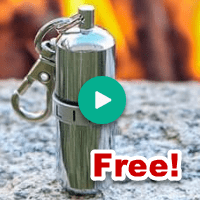 That extra heat can make a big difference when you’re lost, cold or hungry and you don’t have a waterproof survival lighter handy like the Life Strike Lighter. When you know how to use a Ferro rod, you gain a wider range of potential tinder, because the rod will ignite material you can’t light with other tools. And the Ferro rod will be more forgiving of bad luck or inexperience, which make them a perfect for everyday carry survival kits. When you’re ready to build your ferro rod fire, start by clearing enough protected surface area to contain the fire. 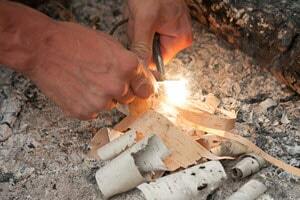 Then gather material, starting with tinder to catch the first sparks. This can be anything that will ignite quickly. If you’re collecting on the spot, consider pine needles, plant fibers, bird nests, hair, shredded strips of duct tape, even fine strands of steel wool. In this video I show you how the Everstryke Match with the built in ferro rod is a great cotton ball fire starter with just a little vaseline and a single spark. 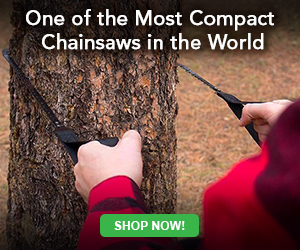 Commercial products are also available, from resin-rich fatwood to manufactured firestarters made of compressed sawdust and paraffin. You can also make your own from materials around the house like dryer lint or cotton balls soaked in Vaseline. Whatever your tinder and kindling, you should also collect pieces of wood of various sizes from fairly fine, dry twigs to larger pieces that will burn longer. 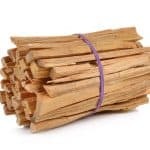 You’ll add these to the fire gradually as it becomes more stable. Hold the ferro rod close to the tinder at about a 45-degree angle. Place the scraper near the top of the rod (so it makes solid contact with the rod). Pull the rod back (away from the tinder) with a slow and steady motion. 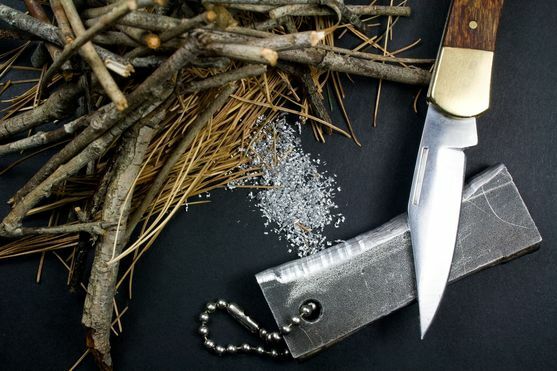 Tip: Many people will hold the ferro rod next to the tinder and rub the scraper toward the tinder. By pulling the rod back (instead of rubbing the scraper forward) you’ll create a spark at the same place. But you’ll do it without risking bumping the scraper into your pile of tinder and scattering it all over the place. 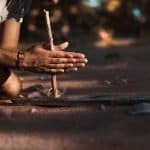 Learning how to master the use of a ferro rod as a survival fire starter technique is a survival skill that can save your life in an emergency situation, even if your matches are wet… or your lighter runs out of fluid… which is why a ferro rod is a must-have survival tool! Magnesium rods are best used for starting a fire when the material to be lit is damp or wet. 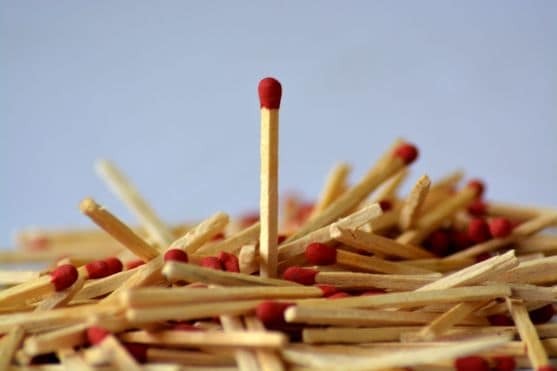 Scraping shavings from these soft metal rods and then applying a spark or a flame will create a fire that burns at more than 4000 degrees Fahrenheit. Magnesium rods have a natural resistance to water making them a perfect fire lighting source for all types of environments. A Ferro rod looks like a small steel rod that is made from Ferrocerium, which is a man-made metallic alloy that produces sparks in excess of 3,000 degrees Fahrenheit when it’s scraped with a rough edge like a rock, or a sharp edge like a knife. The exact chemical composition of a ferro rod varies from one manufacturer to the next, but a typical rod consists of 50% cerium, 25% lanthanum and 19% iron. There are also trace amounts of praseodymium, neodymium, and magnesium. These rods are a great choice for outdoor lighting due to the fact that withstand a variety of outdoor conditions, including wind and rain. The length of time a ferro rod will last depends on the size of the rod, the quality of the composition and the usage of the rod. A larger rod will generally last much longer than a smaller rod. A larger rod with a quality composition (at least 20.8% iron and 41.% cerium) and very little usage will typically last much longer than a rod of the same size with poor composition or high-quality composition and high usage. When choosing a brand one must think about what it will be used for and the durability needed for the job needing to be accomplished. An individual who camps out periodically may not need a high quality or a larger rod because their usage would be low, leading to the rod lasting longer. 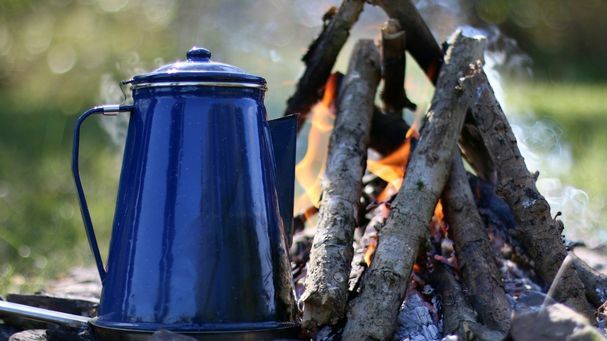 In contrast, an outdoor enthusiast who frequently needs to start fires will want to opt for a larger, higher quality rod (at least 20.8% iron and 53% cerium) to meet the demands that frequent usage of the rod will bring. Rods hardened with iron oxide and magnesium oxide tend to create hotter sparks and higher temperature outputs in regards to the fire produced. Lower quality rods can be identified not only by its lack of iron and cerium but also it’s texture. High-quality rods tend to be hard in texture making it easy to produce a spark when struck against a rough surface, while low-quality rods are soft and require more strikes to achieve the spark necessary to start a burn. The primary difference between ferrocerium and magnesium is that ferrocerium is an actual fire starter while magnesium is not. Ferrocerium is a synthetic material consisting of various elements (typically 50% cerium, 25% lanthanum and 19% iron) that create sparks when scraped across rough surfaces, whereas magnesium ignites when sparks connect with it and create a long-lasting, extremely hot flame. Another difference between the two is their temperature outputs. While ferrocerium creates sparks that can exceed 3000 degrees Fahrenheit, the flame created by magnesium produces heat that can reach temperatures over 4000 degrees Fahrenheit. The two can be used together to create a long lasting fire with intense heat output. Steel typically has high carbon content and a bit of iron and when the flint is struck by the steel, friction from the collision of both stones shaves off a very thin, very hot, layer of the flint causing it to ignite and cause a spark. Free Everstryke Match Get Yours Now! 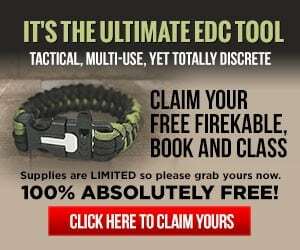 or Free Everstryke Pro Grab Yours Right Now, while you still can. Good while supplies last. 1. Hold the ferro rod close to the tinder at about a 45-degree angle. 2. Place the scraper near the top of the rod (so it makes solid contact with the rod). 3. Pull the rod back (away from the tinder) with a slow and steady motion.